Deftones' frontman Chino Moreno joins Mike Shinoda on new track "Lift Off"
Linkin Park‘s Mike Shinoda has officially released his first solo album, Post Traumatic, and with the new release, comes a song with Deftones‘ frontman Chino Moreno. 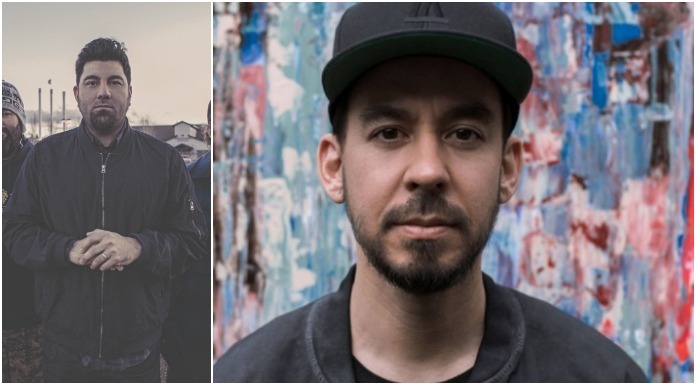 Joining Shinoda on the new track is Deftones’ frontman Chino Moreno and Machine Gun Kelly. “Lift Off” is taken from Shinoda’s new album, Post Traumatic, out now. You can purchase your copy of it here. Shinoda recently shed light on Linkin Park’s future in an interview on iHeartRadio’s Inside The Studio podcast. What do you think of Shinoda’s new album? Sound off in the comments below!